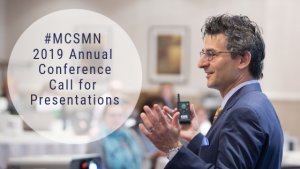 Share your most exciting, innovative and successful programs, campaigns, and best practices at the 2019 Mayo Clinic Social Media Network Annual Conference. The conference will be held October 22 and 23 in Rochester, Minnesota. Workshops should focus on demonstrating specific skills in 45 minutes. Examples might include developing a coordinated social media strategy for an upcoming event, collecting and assessing data from a social media campaign, or creating compelling visuals to support social media posts. Our attendees are primarily healthcare marketers and communicators responsible for social and digital strategies in medical practices, hospitals, and large health systems in the US and Canada (with some attendees from the Pacific, Asia and Europe). Some health care practitioners also attend. We limit attendance to 150 to preserve an intimate, networking-friendly experience. The deadline for proposals is March 15, 2019. Please complete all the requested information on the Call for Presentations form. (If you would like to recommend a presentation by someone other than yourself, please email your suggestions to the Social Media Network.) Thank you for considering our conference!